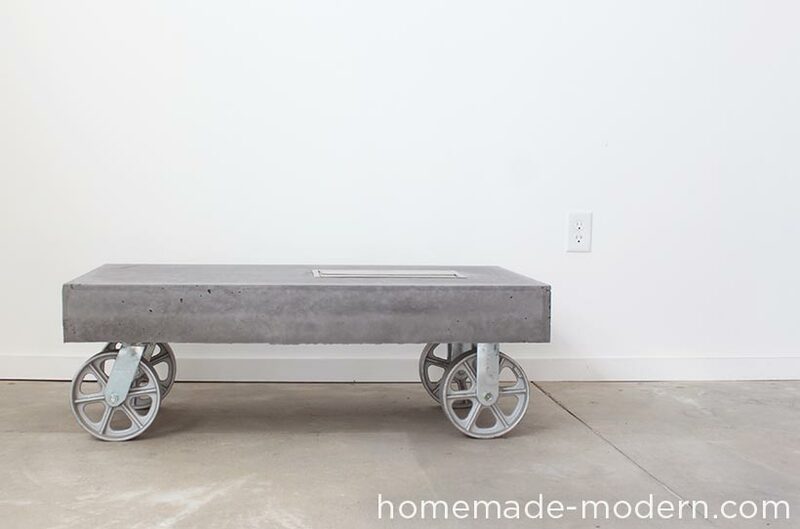 This modern concrete fireplace doubles as a coffee table on wheels. 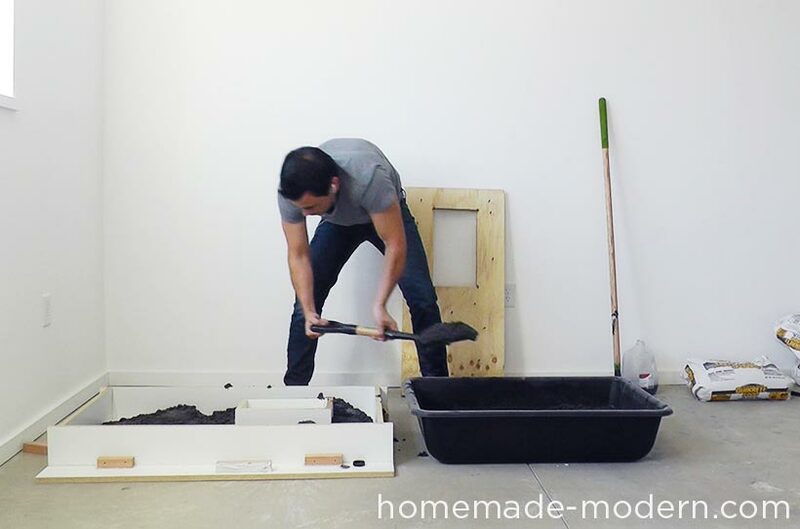 I used Quikrete 5000 cement mix poured into a melamine mold to make the table and added charcoal pigment from Quikrete to give the concrete a dark grey color. 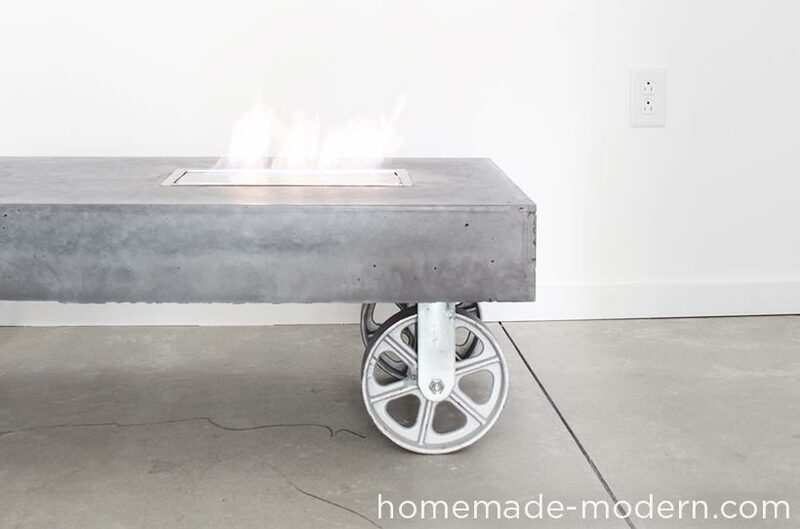 The manufacturer of the fireplace insert claims that bio-ethanol fuel is safe indoors and out, but I would only use the table outdoors. 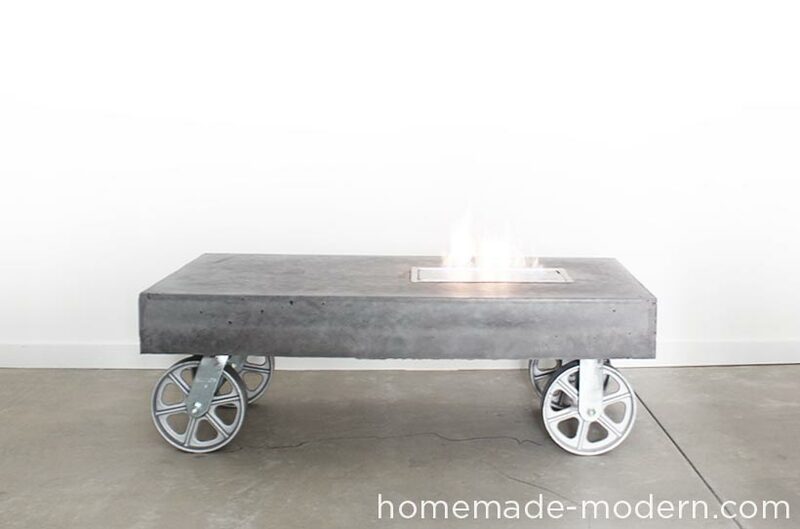 I was curious about ethanol fireplaces so I bought one from Moda Flame (not a sponsor) and made a simple, concrete table on wheels out of Quikrete 5000 that has an opening to accommodate an ethanol fireplace burner. 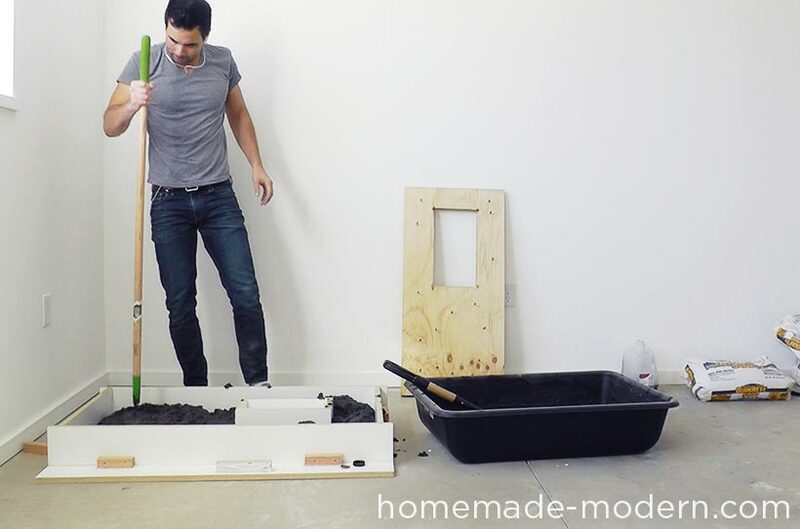 This isn't a cheap project. I purchased the 3-liter indoor/outdoor burner for $99.99, but believe the price has increased since then. I got four 8” heavy-duty steel casters from Amazon for about $110. I used three bags of Quikrete 5000. I used liquid cement color in charcoal. 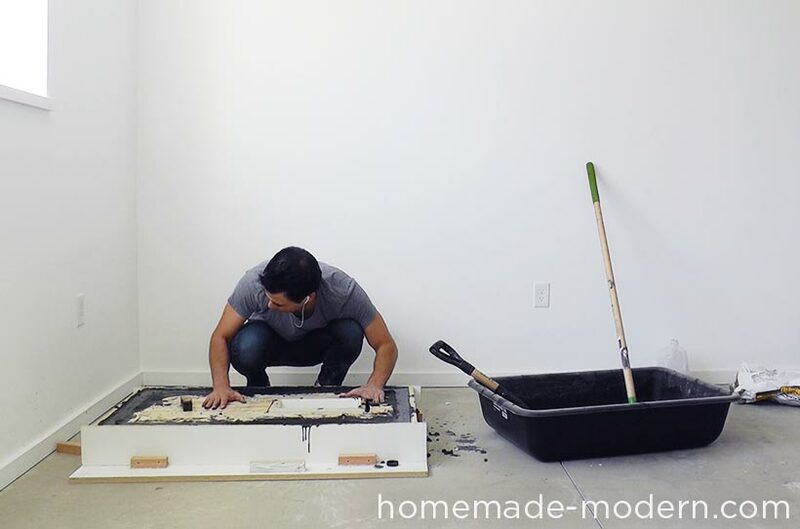 I used 3/4" melamine to make the form for the concrete table. 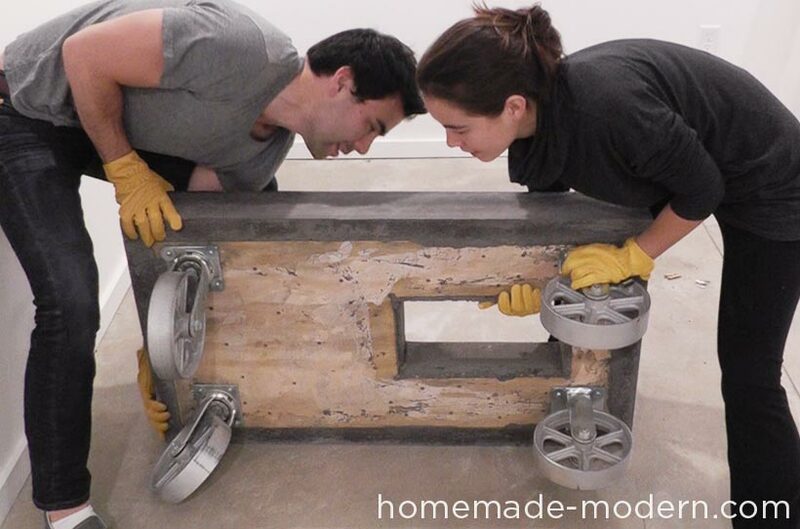 I ordered large galvanized steel casters from Amazon. I ordered the 3L indoor/outdoor ethanol burner insert. 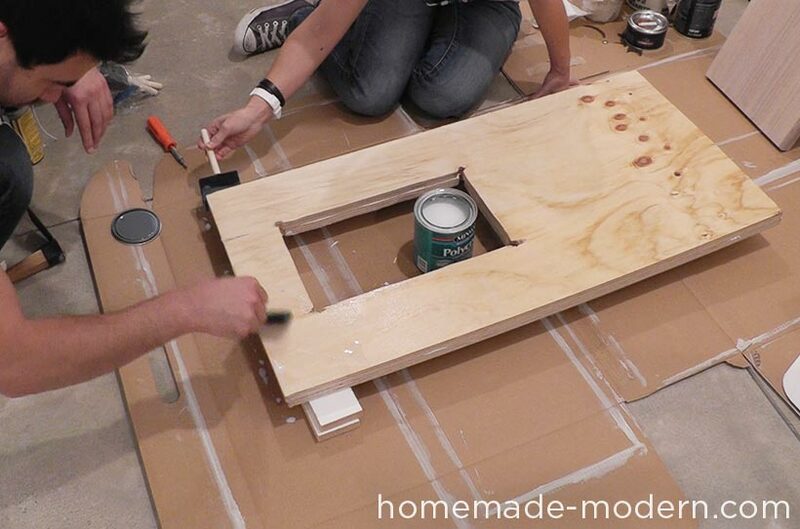 I used two layers of 3/4" plywood to make a deck to embed into the concrete and to fasten the casters to. I used silicone caulk to seal the mold. 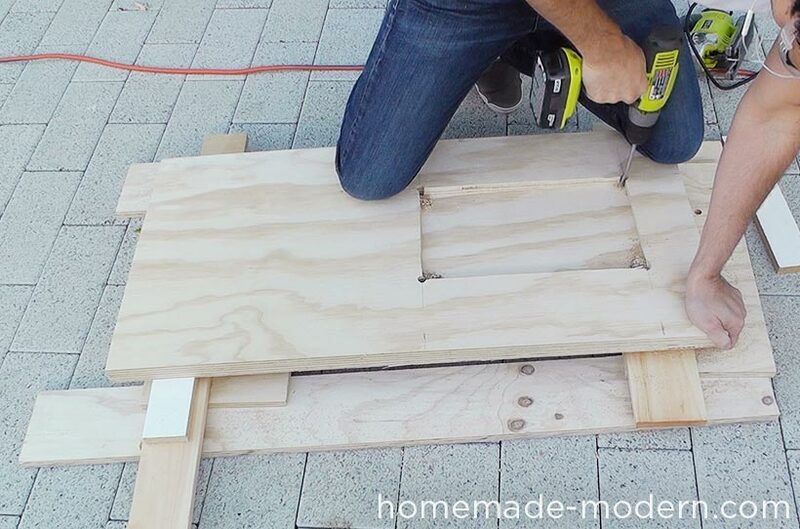 I used Gorilla construction adhesive to glue the two layers of plywood together. 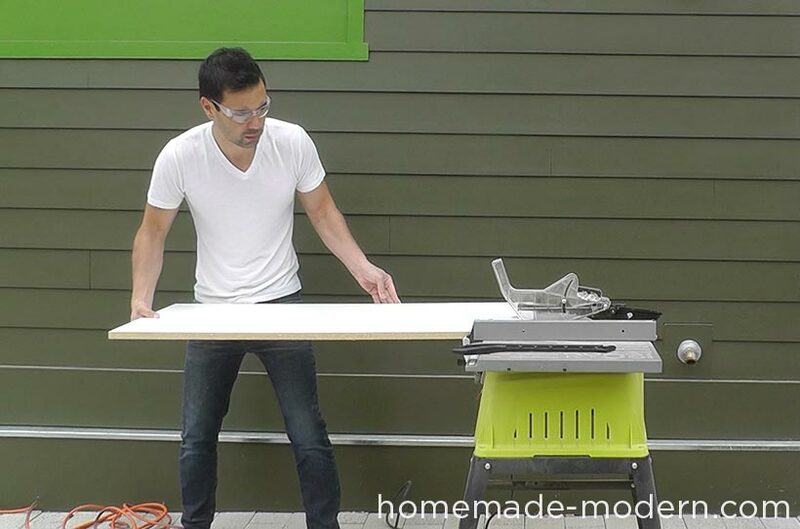 Cut 5” wide strips of melamine with a table saw. 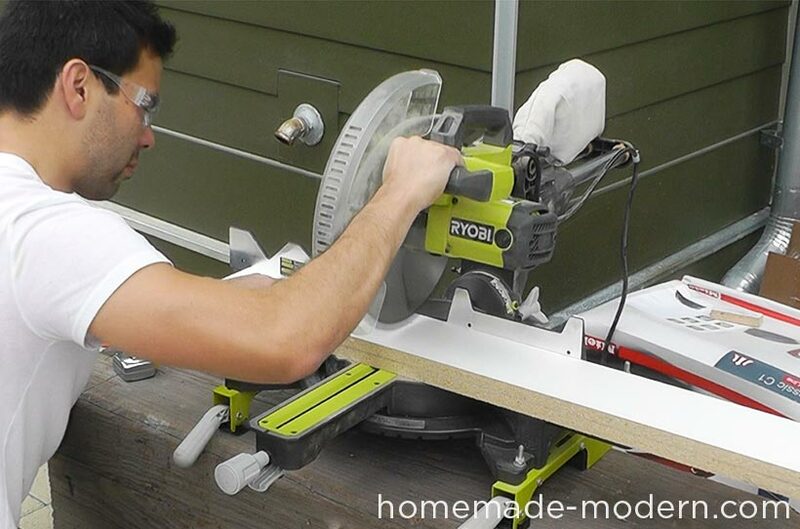 Then cut the strips to length with a compound miter saw. 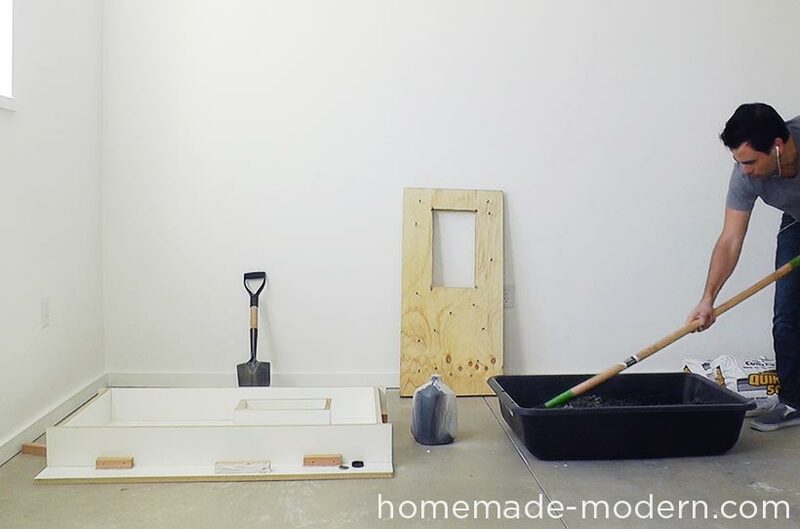 You'll be making two rectangular frames. 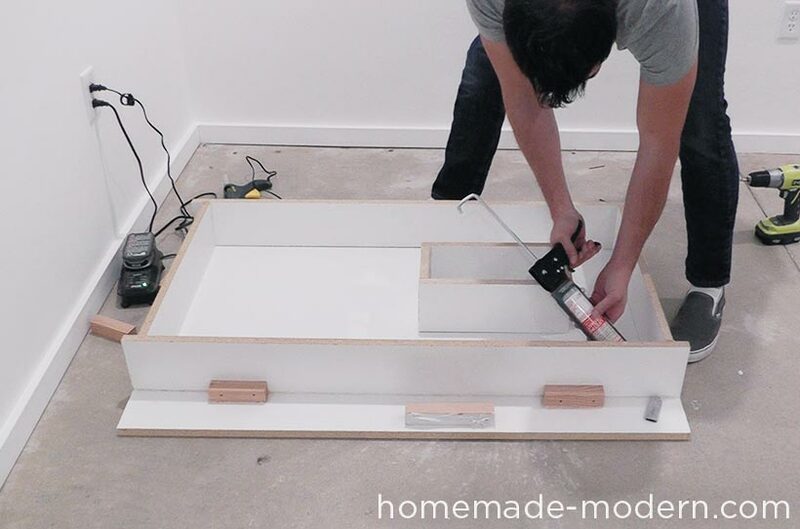 The large frame defines the perimeter of the table and the smaller, inner frame is to make an insert for the burner. I measured the burner and cut the pieces accordingly. 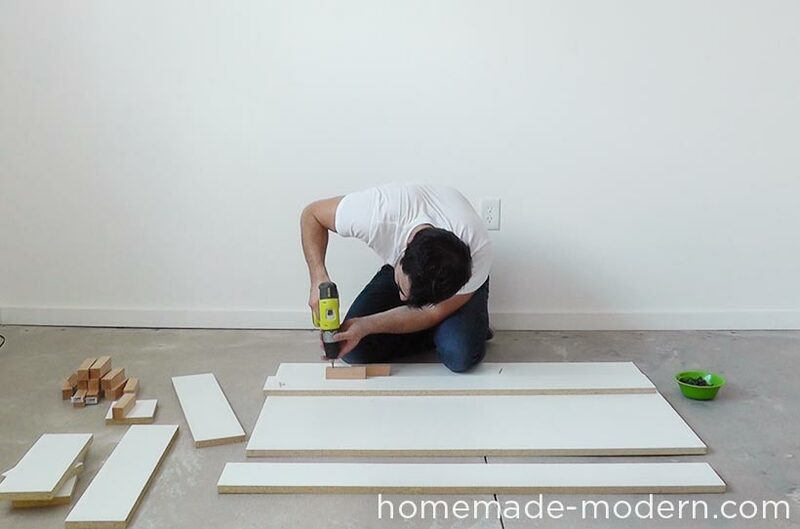 Screw some scrap blocks of wood to the strips of melamine to give the strips stability. 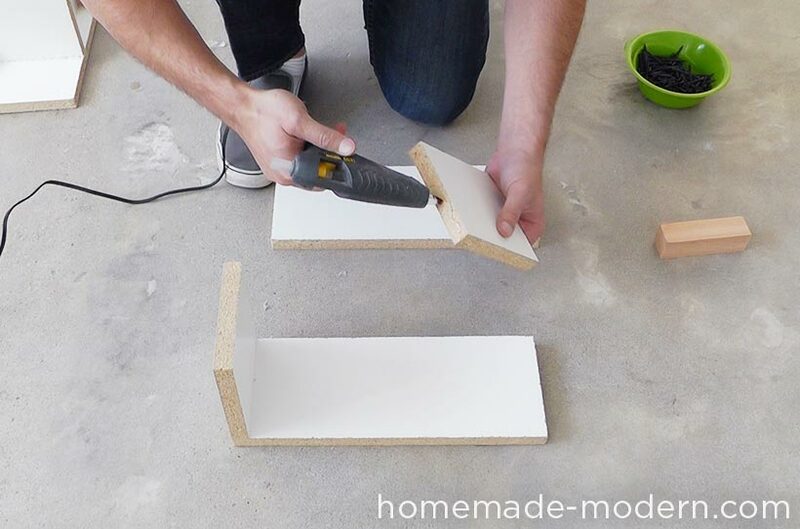 Then use a hot glue gun to glue the strips to the bottom of the melamine board. I didn't use a lot of wood blocking and screws, so I made sure to thoroughly hot glue all the edges and corners. I hot glued the melamine pieces for the inner frame together to make sure the corners were securely sealed. I measured equal distances from either side and made marks so that I could locate the inner frame. Then I hot glued the inner frame to the bottom piece of melamine. 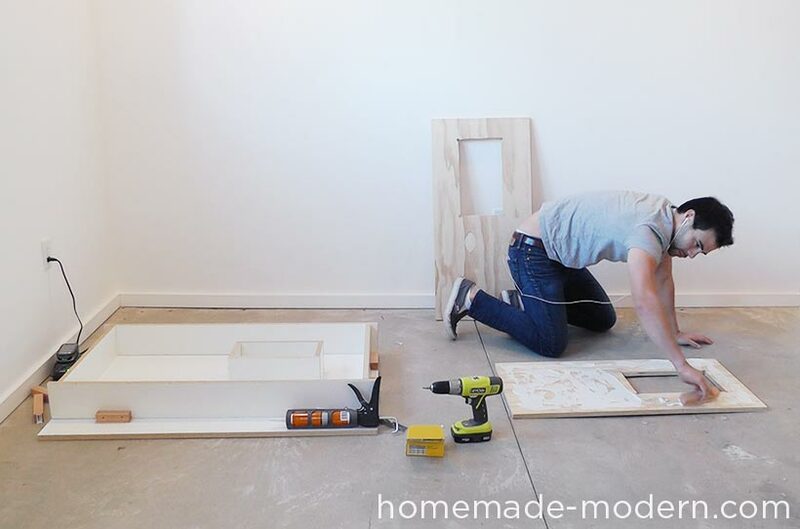 Cut two pieces of plywood that fit inside the outer melamine frame with about 2" inches of space between the edges. 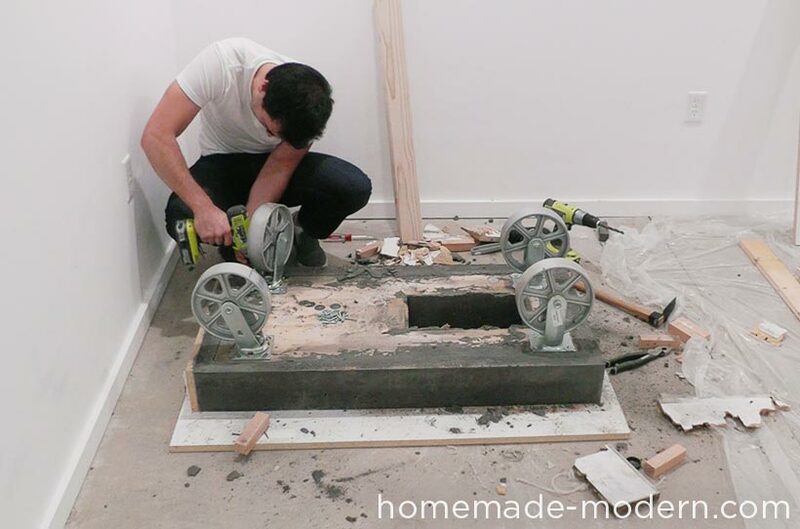 Then mark the location of the inner mold. 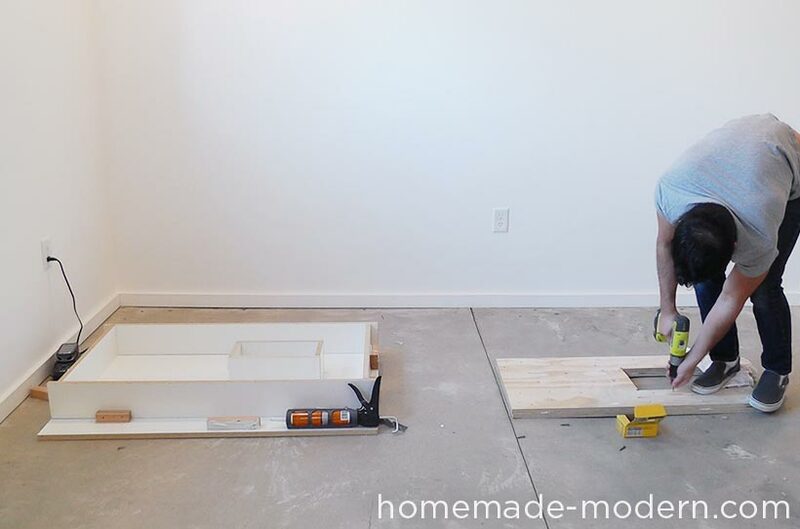 To cut a rectangular hole in the plywood, I drilled holes in the corners and then used a jig saw to cut in-between the holes. 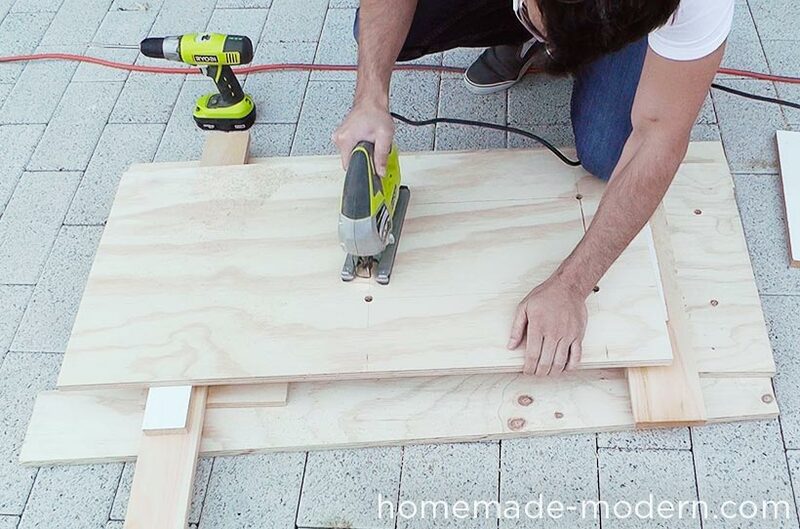 I used a generous layer of construction adhesive and deck screws to connect the layers of plywood. 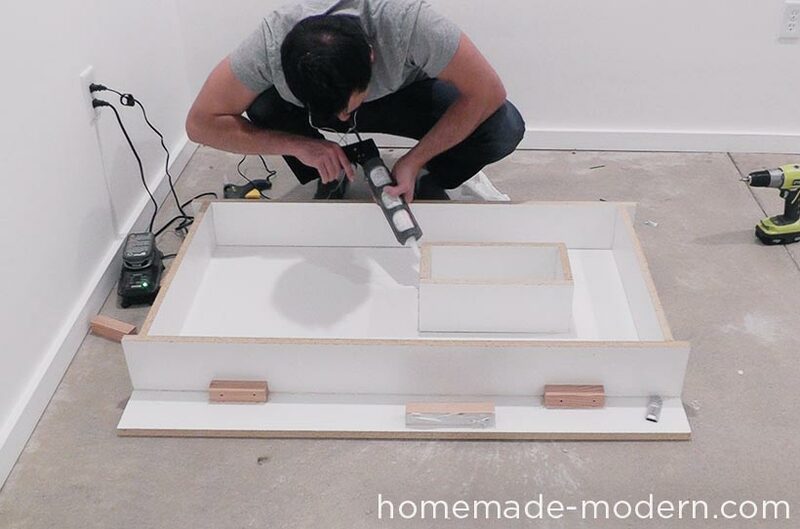 I used silicone caulk to seal all the corners and edges of the melamine mold and also covered the exposed ends of the inner mold so that the particle board wouldn't absorb water away from the concrete. I coated the playwood deck with two layers of polyacrylic finish to protect it from the wet concrete. 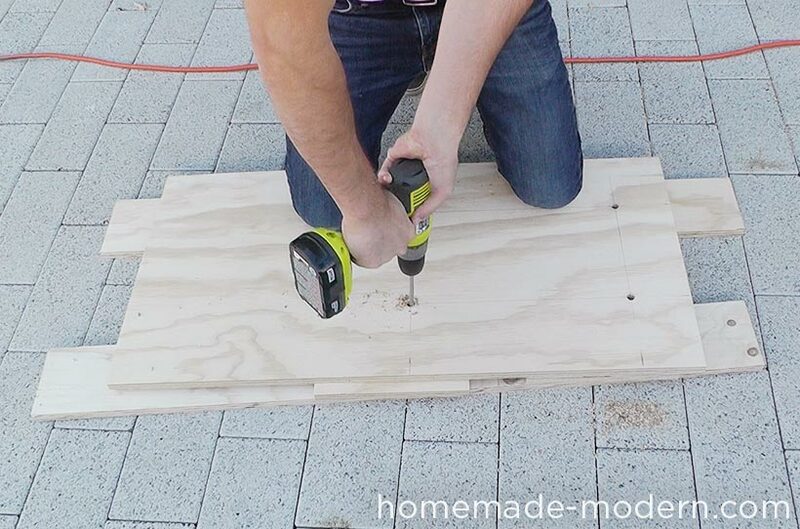 I want the plywood deck to stick firmly to the concrete, so I screwed in 3” long deck screws halfway into one side of the plywood deck. I added half a bottle of Quikrete Liquid Cement Color to each gallon of water I used for mixing the concrete. That amounted to roughly 1 gallon of dyed water for each bag of Quikrete 5000. 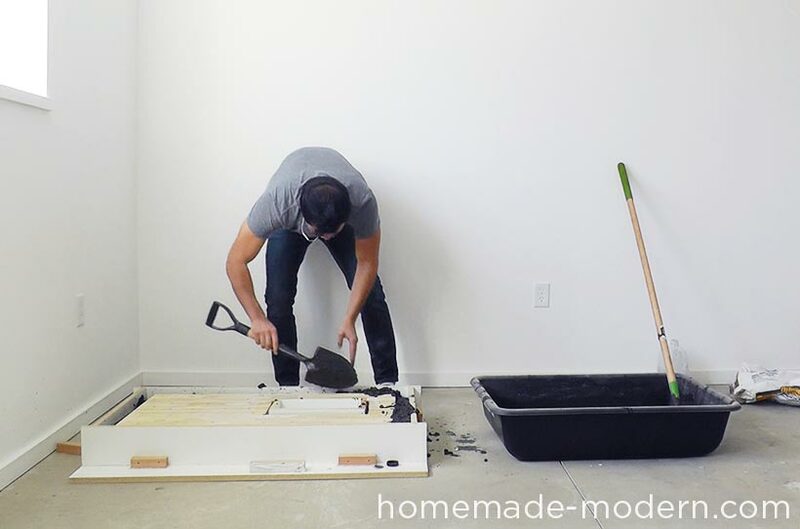 Then I mixed the concrete and the shoveled it into the form. 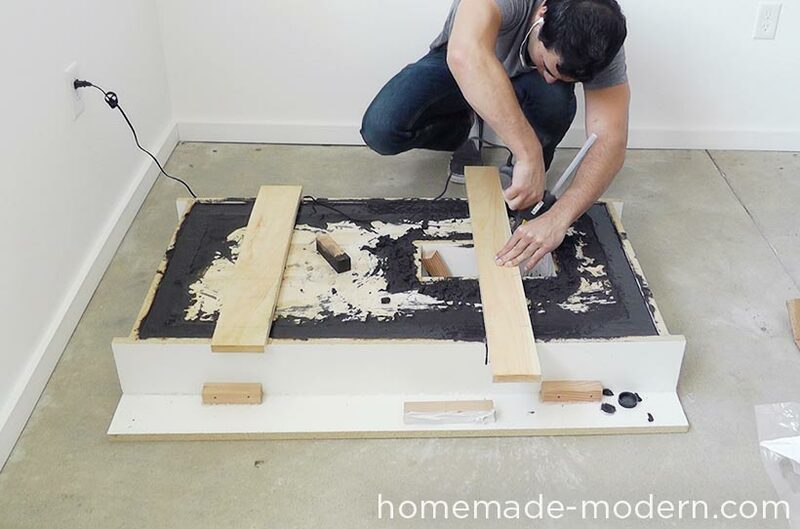 Make sure to push the concrete down into all the cracks and corners of the mold. 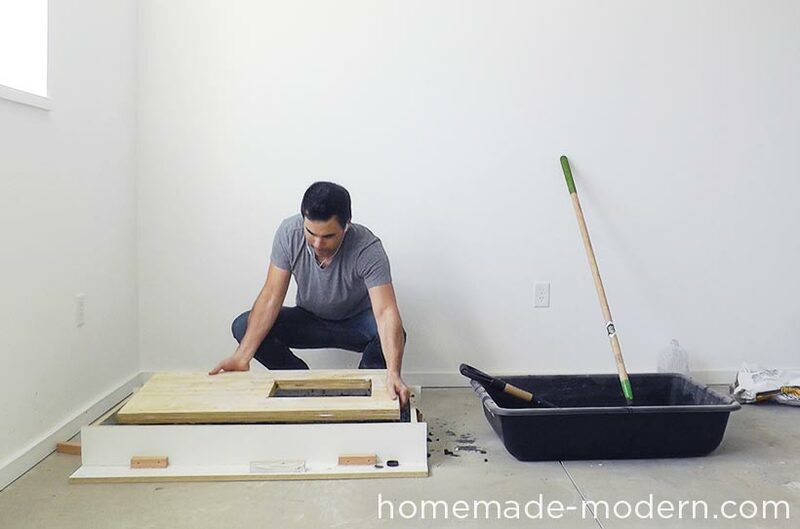 Once the concrete is about 1.5” from the top of the mold, place the plywood deck – screw side down – on the wet concrete. 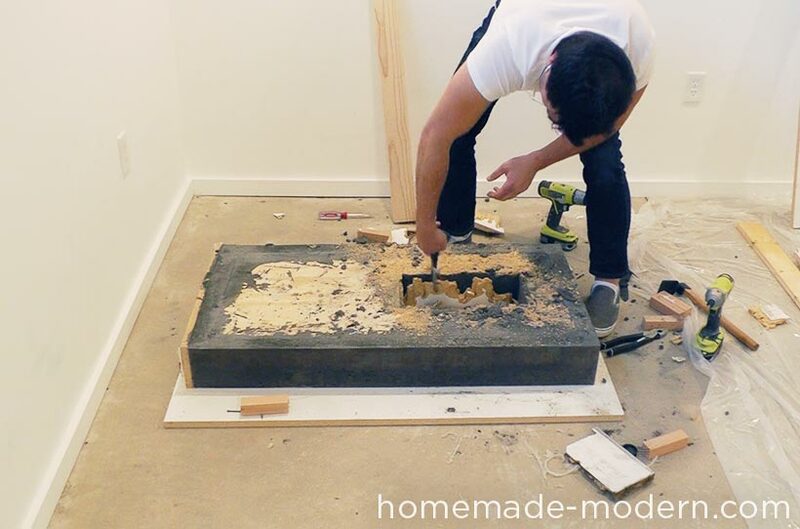 I shook it a bit to help settle the concrete and then filled-in concrete around the edges until the mold was full. 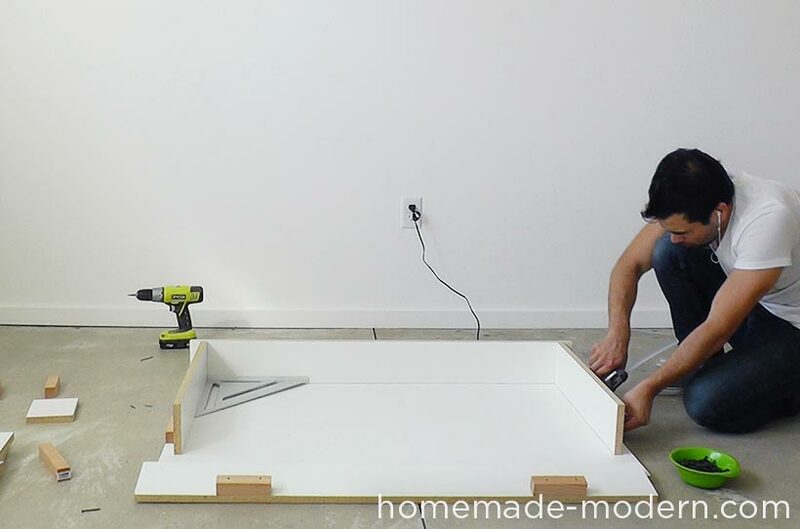 I didn’t want the plywood to float up, so I hot glued a strip of wood across the top of the mold to hold it in place. 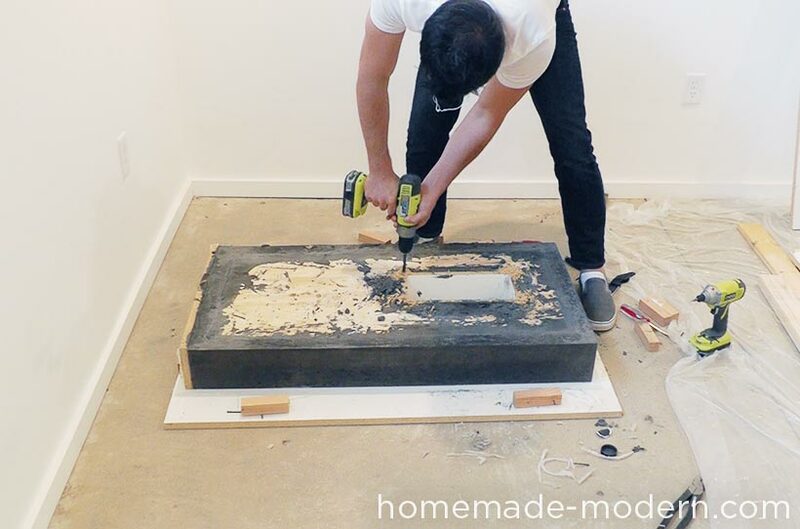 After letting the concrete cure for about 20 hours, remove the mold. 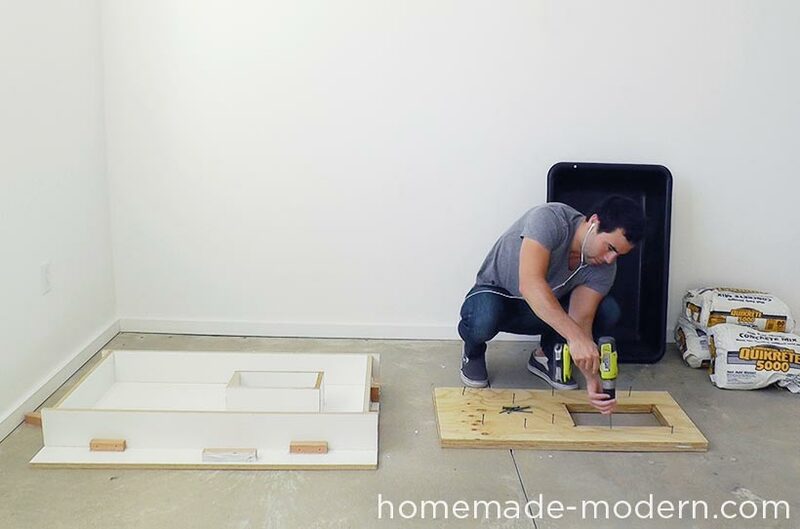 My inner frame was wedged-in pretty tight, so I used my drill to remove pieces of particle board in the melamine and then used a screwdriver to break away the rest. I used 1.5” long screws and washers to fasten the casters to the plywood deck. 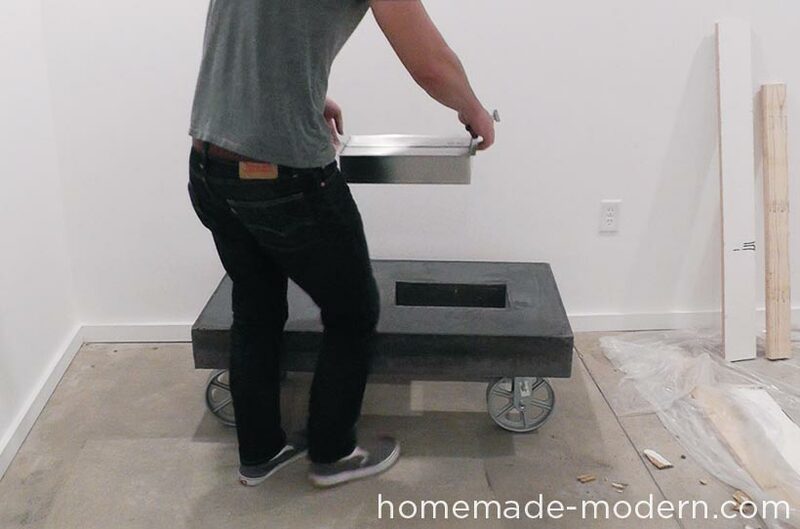 Flip the table over and place the burner insert. I filled the burner with fuel and lit it. It works great! 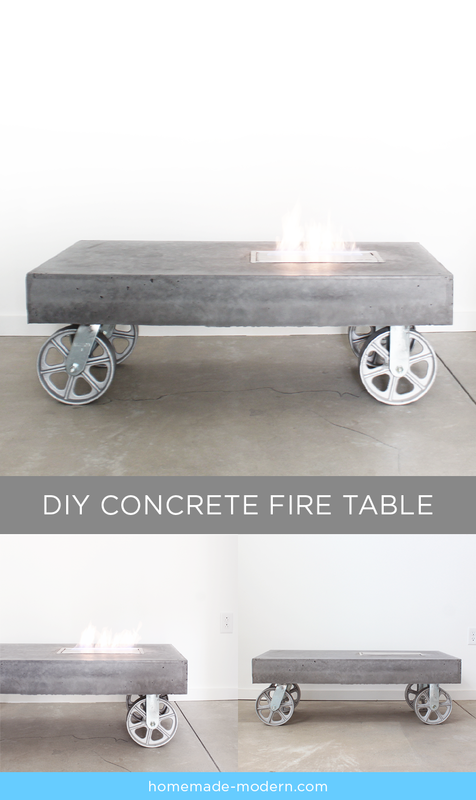 Good luck with your concrete fire table and please email or tweet photos to @benuyeda or ben@homemade-modern.com.